For nearly 175 years The London Library has been an intellectual home to many of the world’s most prominent writers and thinkers – from Charles Dickens to Charles Darwin, George Eliot to Virginia Woolf, TS Eliot to Tom Stoppard. Housing a unique collection of over one million books it is now one of the world’s largest lending libraries. 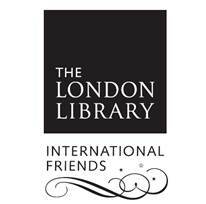 The International Friends of the London Library play a key role in supporting The Library and hosting an active program of events and supporter benefits. With your help, we can continue to ensure that The Library’s unique collection, its extraordinary building and its proud literary heritage can continue to benefit a new generation of writers and thinkers. October 6, 2015 in About IFLL.